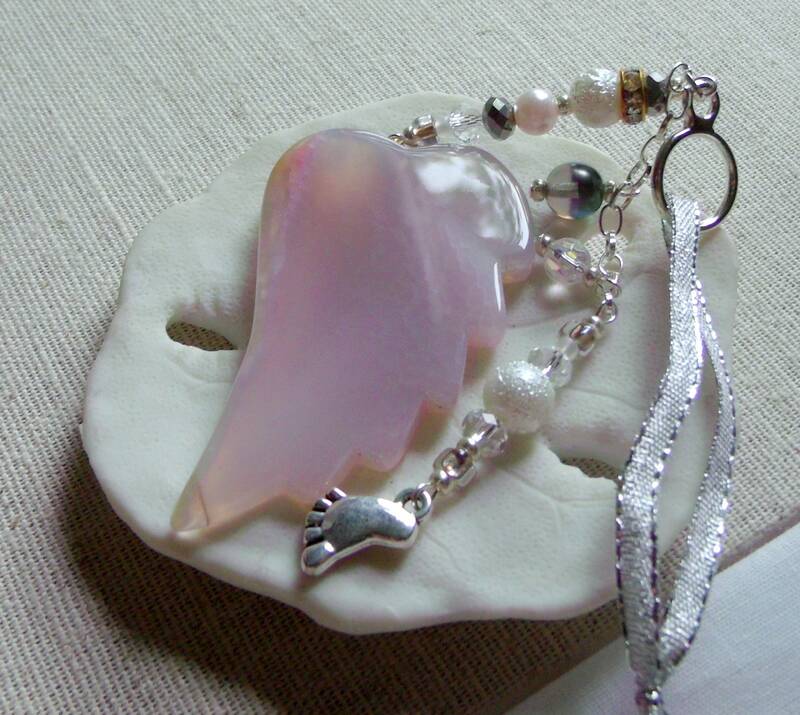 Babies need Angel wings too ! 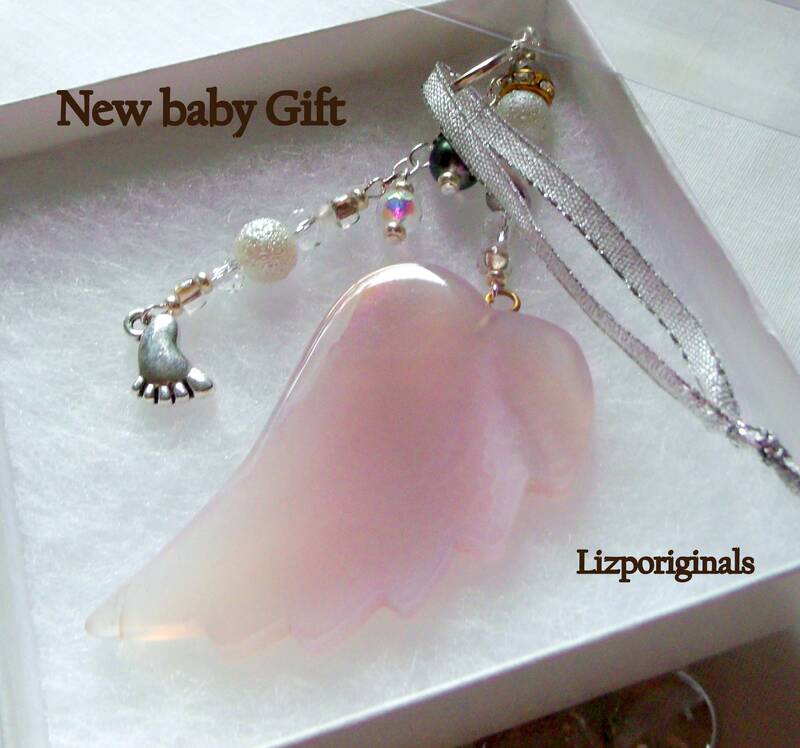 Be it for protection and as a christening Gift, for new Moms and proud grandparents. 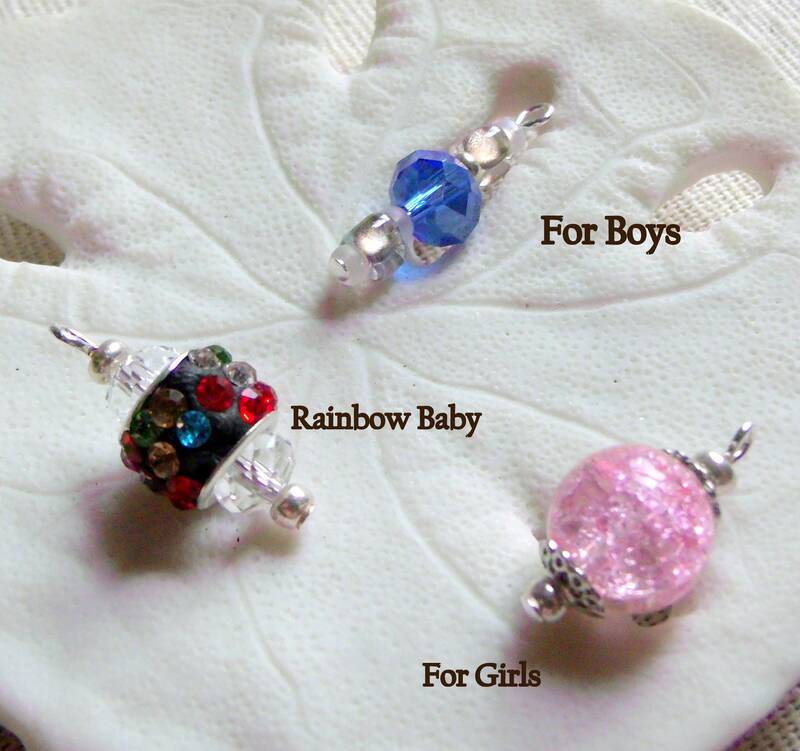 with crystals and silver foot charm will delight any new Mom . Beautiful! Will be hanging this in our nursery.